Can YA fiction save lives? Or at least aid a kid suffering from a nasty wound? A 12-year-old Massachusetts girl helped an injured friend over the weekend thanks to quick thinking—and a makeshift tourniquet she whipped up using a technique she read about in The Hunger Games. On Saturday afternoon, Megan Gething and her friend Mackenzie George were playing outside in a neighborhood marsh when George slipped and slashed open her leg. While George was screaming for someone to call an ambulance, Gething recalled a moment from the first Hunger Games novel where Katniss saves Peeta’s leg by using her sleeve and an arrow to fashion a tourniquet. After using a pair of shorts to control George’s bleeding, Gething and the group of friends she was with were able to get her to a nearby hospital where she’s now recovering. 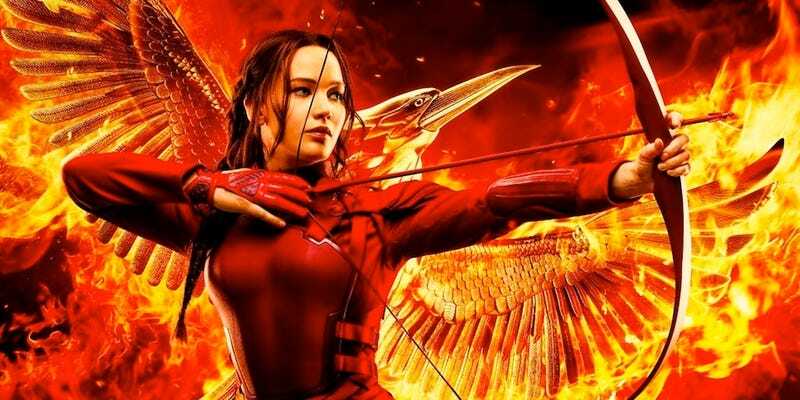 Whether or not reading The Hunger Games can help you actually survive a fight-to-the-death competition in a dystopian future remains up for debate—but its ability to coach a preteen through some pretty intense first aid is now confirmed.